When it comes to personal improvement, moving forward is a constant. When I want to stop, I hear those words ringing in my ears, “You are either improving, or you are getting worse. There is no staying the same.” With that in mind, my goal to read (and listen to) books has been consistent. So here are a few of the books that have had my attention so far this year. 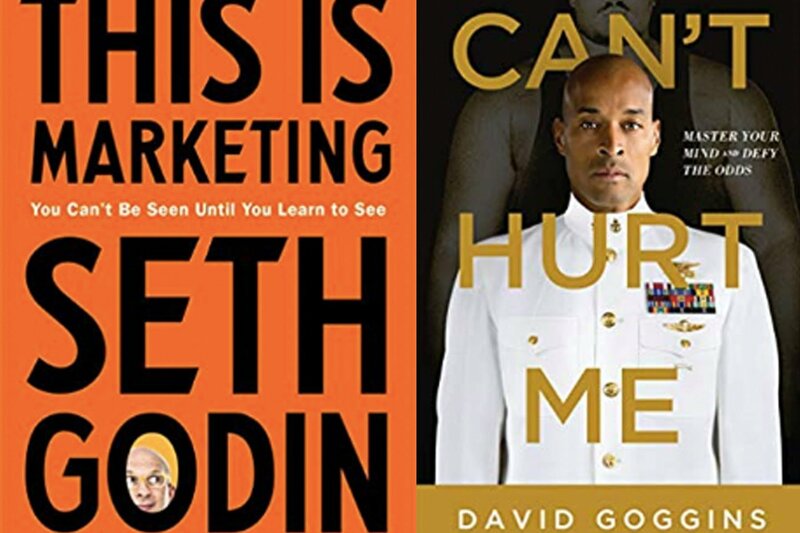 This Is Marketing: If you read this blog at all, you might know that I am a fan of Seth Godin. I am a fan because of books like this. Seth has a way of looking at the world and distilling thoughts about business, culture and marketing into ways that make sense to me. “This Is Marketing” is great and worth the price of admission just based on his take on the difference between “brand marketing” and “direct marketing.” Oh…and he was also kind enough to be a guest on Delivering Marketing Joy about the book. Game Changers: This was a gift from a friend that thought I would enjoy Dave Asprey’s take on how to improve…he was right. In the interest of transparency, I am still finishing this one, but Dave talks about lessons he has learned and interviewed 100’s of leaders and influencers about how to get more done. UnF@ck Yourself: I had seen this book around for quite sometime and never pulled the trigger. I am glad I did. I listened to the audio book on this one and I really enjoyed it. Sometimes you listen to a message just when you need to hear it. This was one of those books for me this year. 59 Seconds: This book is designed to help you change your life in simple ways. Essentially the book is full of psychological studies that show easy ways you can shift behavior to help you improve. Sometimes the shifts are obvious and sometimes counter-intuitive, but always thought provoking. Ikigai: The Japanese Secret to a Long and Happy Life: This is an audio book that I am still working through. These types of simple books are good breaks for me. Though I did not get a lot of tangible takeaways, it still got me thinking. Can’t Hurt Me: In a word…wow. This book by David Goggins is a powerful story about what you can do with an iron will and determination. By chapter 2 of this book, I said to those around me “I will never complain about my circumstances again!” I listened to the audiobook version of this one…and I recommend it. The book is read by David’s ghostwriter and they take regular breaks in the book to discuss (podcast style) the stories and lessons therein. Really enjoyed this one. 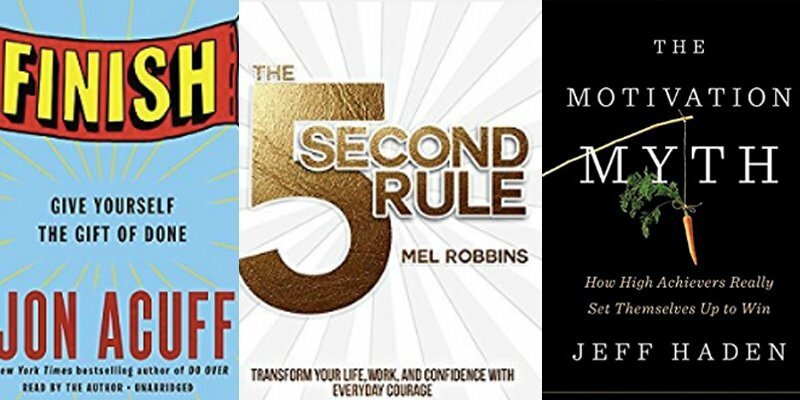 So if you are looking for some new reading material to push you further, here are a few that have been on my mind so far in 2019. Now…let’s get back after it! Make sure you never miss an update! Sign up to be a VIP here today. 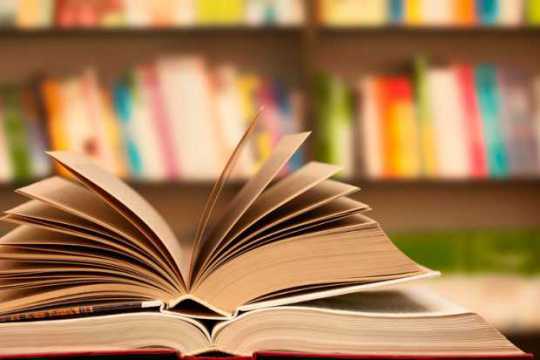 It’s time for another book list! If you read this blog at all, you know I read quite a bit. But rather than just giving you a list like “Hey, here are some books I read,” I wanted to break them down into audience. For example, if you are in sales, I wrote a list of books that you might want to read. In addition, if you just want to grow personally, here is a foundational list of books I want my daughters to read. Today I wanted to focus on some books that I recommend for entrepreneurs. 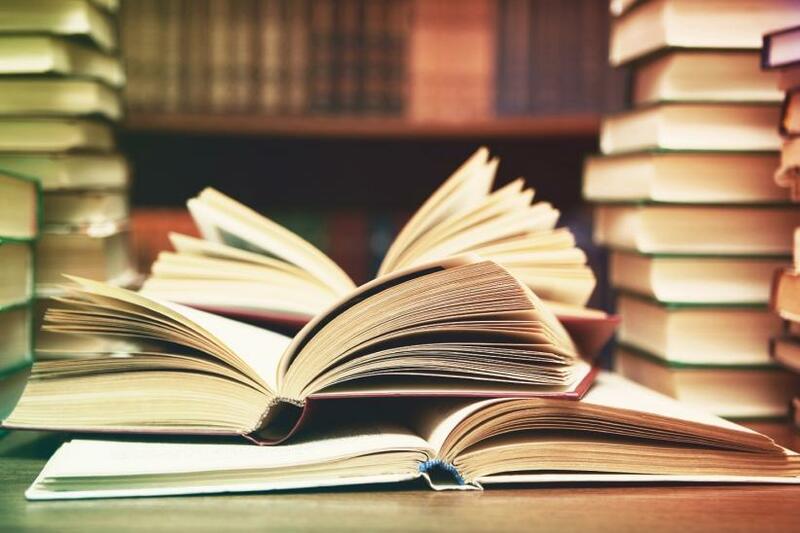 There are a ton of great books out there that can help you grow as an business person…but here are a few that have inspired me! E-Myth by Michael Gerber: This, my friends, is THE entrepreneur book. It starts here for me. I have read this book 10 times, and every time I read it, I am in a different place in my entrepreneurial journey. It’s an easy read and it’s powerful. Profit First by Mike Michaelowicz: For me, this book was a game changer. I listened to this book the first time, and I was honestly wondering if Mike was following me around! We changed the way we did accounting in my business because of this book…and we are glad we did! Finish by Jon Acuff: If you are like most entrepreneurs I know, you don’t have a problem starting new things. But do you finish? Jon Acuff gives tips and tactics for moving things to the “done pile.” Content Inc by Joe Pulizzi: Yes…this is a marketing book. But I think this book has great meaning to entrepreneurs trying to tell their story in the world today. How can you become a “media company?” Start by reading this. SCRUM by Jeff Sutherland: This book helps to answer the question, “how can my team and I get more done?” The SCRUM methodology is incredibly interesting and allows you to think about project management in a totally different way. The Automatic Customer by John Warrillow: This one got me thinking about how you can make ANY business a subscription model. I love books that make me think! This one had me running new ideas in my mind for weeks. 4 Disciplines of Execution by Chris McChesney and Sean Covey: If you have ever gone to an event and come back inspired, then watched your ideas get lost “in the whirlwind” of business, this is the book for you. It greats down the 4 steps to implement “wildly important goals.” The Go Giver by Bob Burg and John David Mann: We always here that you need to be a “go getter” to be successful. I love this take on giving first. The Subtle Art of Not Giving a F*$k by Mark Manson: I loved Mark’s take on life. And once you get through the f-bombs, it’s pretty zen. My favorite concept had to do with the idea of “what are you willing to suffer through?” I love that. Hustle by Jesse Warren Tevelow: This is not the deepest book…but I really dug it. The concept is he wrote the whole book in a week. It inspired me to think of what I could do if I just got out of my own way. Bonus Book: I have not read it yet…but I am really looking forward to “This is Marketing” by Seth Godin. Here is a blog post where he talks about the book (and being on our show to promote it!). Hopefully these inspire you as much as they have me! Oh, and I am always looking for new books to read. Feel free to let me know your favorites! Make sure you never miss an update! Sign up for our VIP newsletter here. The Delivering Marketing Joy Podcast is back! Our goal here is to attack 2018 with a vengeance! The Delivering Marketing Joy Podcast will provide some inspiration, motivation and education to make it happen! Consider this your 10 minute “kick in the pants” to get your week started off right! This week on the podcast I discuss a list I get asked about all of the time…what to read. On this DMJ Podcast I discuss 5 Books that I recommend all of the time. There are a couple of classics…and a few new ones. Listen in and find out what is on my must-read list. Oh…and you can watch on Youtube here as well (subscribe while you are there). Want links to each of these books? We can do that. Here is the short list of books with links to each of them on Amazon. 1. 7 Habits of Highly Effective People 2. E-Myth 3. 5 Second Rule 4. The Motivation Myth 5. Finish There are many more books that really motivate and inspire me. But what are yours? Let us know! Again…you can subscribe to my Youtube channel here. And if you never want to miss an update, make sure to sign up for our VIP newsletter here. For the last several years, I have set a goal to read enough to change me. Two years ago I read 50 books. Last year I read 31. This year I have set the goal to read 40 books. Why? Because “in 5 years you will be the same person, except for the people you meet and the books you read. Simply put, it helps me (and you) grow. So what have I read so far this year? Let’s take a look…and I will include links so you can check them out yourself. Night School: I know, this is fiction. But somehow, Jack Reacher novels always make me feel like more of a man! I love the novels of Lee Child, so this is often a fun distraction for me. Deep Work: These rules for success in a distracted world are good reminders. The fact is, I think most of us understand that we get more done when we are focused. But Cal Newport fills the conjecture with studies and facts. Get Smart: Brian Tracy covers the basics of success principles in this short book. There are not new ground breaking principles here, but awesome reminders about business truth. Business For Punks: Truth be told, I really liked this one because it was about BrewDog (and I am starting a new brewery). That being said, I enjoyed their irreverent look at how to start a business. The Fortune Cookie Principle: Often the most profound lessons are the simplest. We each need a compelling brand story to stand out in a crowded marketplace. Bernadette Jiwa teaches us to create one. The Subtle Art of Not Giving a F**k: Sorry for the language, that’s the title. If you are offended by language, I think it goes without saying you should steer clear of this one. If you are not, however, I think this has real and lasting lessons is priorities, business and life. This was one of my favorites of the year (so far). Contagious: This one is high on my recommended list too. Jonah Berger explains why things catch on (or go viral) and how you can work to make your idea spread as well. This was a really good one. SCRUM: This one was cool because the Hasseman Marketing team read it together. It’s a great book that explains how to get more done in less time…and I think it lives up to the title. I am anxious to continue to work with the team to implement some of the ideas here. The Founder’s Mentality: This book is about the inevitable challenges that all business founders run into…and how to overcome them. Doing Good Better: I was really excited about this book. It was not what I thought it was going to be BUT it was still interesting. It took a very analytical view of doing good in the world. I didn’t agree with everything the author said, but it made me think! Beautiful Outlaw: One of my team members challenged me to read more “spiritual” books this year because I told the team I wanted to be more intentional in that area of my life. Josh gave me this one and I really enjoyed it. This book talks about the playful personality of Jesus…not something discussed a lot. I have actually quoted it several times since I finished it. UnShakeable: This book by Tony Robbins works to unlock the keys to financial freedom. I thought it was good. His book Money, Master the Game was not bad…but too long. This one was more consumable. Headstrong: This one was tough. On the one hand, it was filled with interesting science and started strong. But by the end I felt like he was telling me I could not live in the 3 dimensional world and be healthy. Interesting…but not sure that I want to live my life this way. Hustle: I really liked this one! This book was written and published in 7 days…to prove it could be done. But that being said, I was inspired by it and found it fun. It also may have provided me an idea for my next book! Predictable Success: Written by Les McKeown and recommended by Roger Burnett, this was a good book for those starting or trying to grow a business. Les gives a name for the stages of business that we all can identify with. Originals: This was a good book by Adam Grant. Not only does he make the point that original thinkers are those that change the world (duh), but he gives some great insights on how to keep innovating…no matter what. Camino Island: If you are heading on vacation anytime soon, or just need a fun and easy read, this is a good one. John Grisham is a GREAT storyteller. I don’t always like the way he ends his books, but I liked this one a lot. Order to Kill: I was a huge fan of the Mitch Rapp novels by Vince Flynn. When he passed away I was very disappointed. But Kyle Mills has picked up the ball nicely with this one. As a side note, the first book American Assassin is going to be a movie this fall. 5 Questions: This book was actually given to me by the author…on a plane. This short book unpacks the reasons that Faith makes sense. If you have questions about this in your life, check it out. Radical Candor: This book is about working to be a better leader and a better boss…without being a jerk. The author is very honest about some of her struggles in this and that helps. She also makes the case of why good feedback is so important for everyone. The ONE Thing: With all of the things we are trying to accomplish every day, The ONE thing reminds us we need to do the most important thing (and only that) first. The counter-intuitive idea is simple. If you want to do more…do less. At the half way point in the year, that is my list so far. As always, please let me know if you have any books you think I need to read. I am open to it! And if you want a more detailed “review” of any book on the list, let me know.